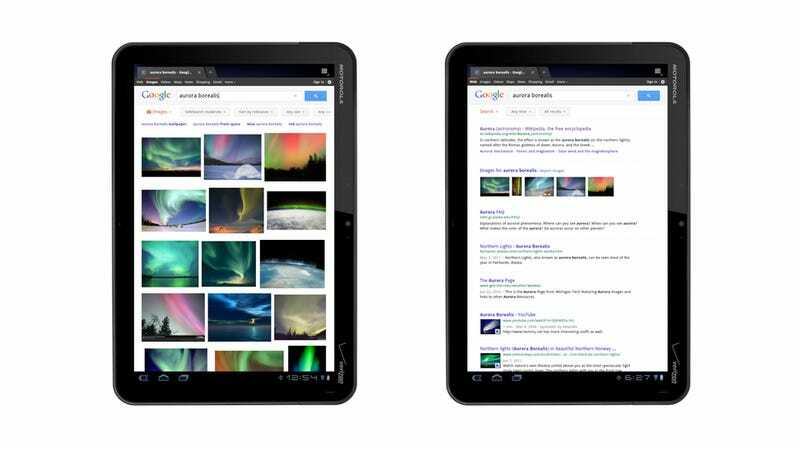 Google's now greeting you with a brand new interface if you paddle on over with your tablet. In short? Search got bigger. Which means everything's easier to touch. Which means everything should be easier to use. We've simplified the layout of search results pages and increased the size of page contents like text, buttons and other touch targets to make it faster and easier to browse and interact with search results in portrait or landscape view.